Re-evaluation of the role of historical personalities continues to be one of the most burning questions in Kyrgyz historiography. Some of the personalities were familiar to the ordinary people, but they needed to be «rehabilitated» because they had been considered «reactionary» during the Soviet period. Some of them were executed by the Stalinist regime or by the later, more moderate Soviet system, and publishing objective accounts of them was prohibited. Some information about these Kyrgyz figures was preserved in folklore and genealogical legends. Other historical figures, such as Bars-Beg, were unknown to the entire nation. Some great leaders lived in this territory but were not considered Kyrgyz. It is now impossible to imagine the whole history of the Kyrgyz and the people who lived in the lands of contemporary Kyrgyzstan without these individuals. Today, Kyrgyz historians are studying not only Kyrgyz leaders who lived in the ancient, medieval, and modem periods, but also representatives of other nations who made a valuable contribution to Kyrgyz history or historiography: Li Ling, an ancient Chinese general military leader; Nikolas Bichurin, a Chuvash Sinologist; Chokan Valikhanov, a Kazakh scholar; Biy Yan Hu. 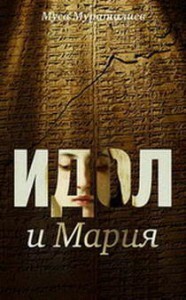 a Dunghan rebel leader; W. W. Radloff, W. W. Barthold, S. E. Malov, and E. Polivanov, the Russian Orientalists; S. M. Abramzon and E. A. Davidovich, the Jewish historians; V. Ya. Butanaev, a Hakas anthropologist; the Czech and Slovak workers of the 1920s; and the peoples deported to Kyrgyzstan (Germans, Koreans, Caucasians, etc.). The problem of reconsidering historical individuals was raised during the last years of perestroika in Kyrgyzstan. The Kyrgyzstan public (most notably, writers and other representatives of the cultural elite) put the question squarely in 1987-88. Soon some communists executed in the 1930s were considered rehabilitated. Their membership in the Communist Party was slowly restored, which meant that their names could be included in books and textbooks and in the mass media. This happened at the end of 1988, and il was a sudden development for Kyrgyzstan, because only three years earlier (in 1985-86) witnessing campaigns of repression, such as one against mountaineers who sang the songs of Kazybek Mamatemin uulu, a poet executed in 1930s, was a usual occurrence. The uprising in December 1986 against the Kremlin in Al-maty, the capital of neighboring Kazakhstan, was used as an additional pretext to put official pressure on potential and real Kyrgyz nationalists beginning in December 1986 and into 1987. 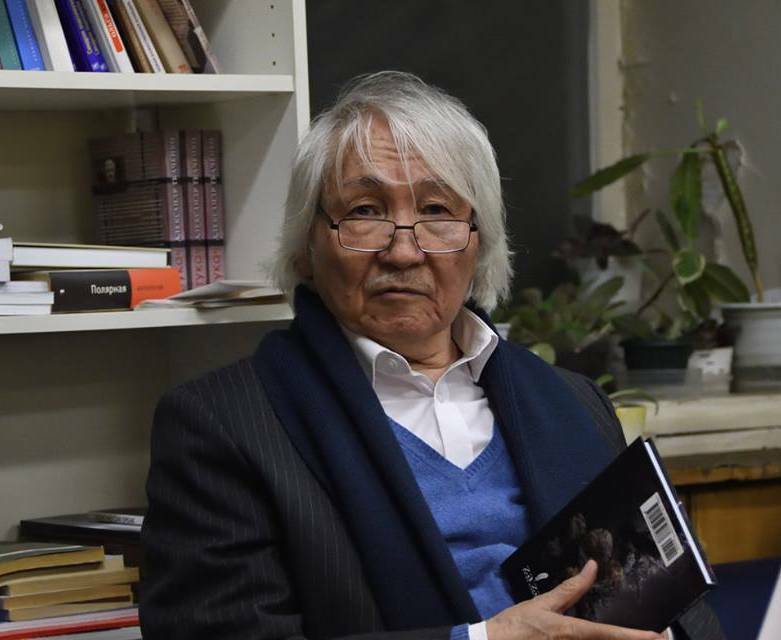 One intellectual who suffered from repression was Sabyr Attokurov, who had been the head of the Department of Archeology and Ethnography at Kyrgyz State University. He was branded a nationalist because he had given lectures about Kyrgyz genealogical traditions and legends. 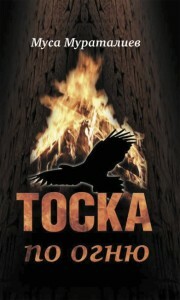 Attokurov was forced to leave the university, students who supported him were nearly expelled from the history faculty. By 1989, the local mass media had begun publishing profiles of historical individuals of Kyrgyzstan. Some of them were included in the new ‘Topic planning in Kyrgyzstan History» prepared by activists with the Association of Kyrgyzstan Young Historians in collaboration with A. Chukubaev. His role was to assure the republic’s Ministry of Education that the program was prepared under the leadership of an experienced scholar, but the main ideas belonged to the association members’ circle (see Chukubaev et al. 1989). Political censorship, though weakened during these years, continued to exist. As I remember, the authors of «Kyrgyz History: A Brief Encyclopaedic Dictionary,» submitted to the state-run publishing house in 1989, had to prove that every bit of new material in the book was compatible with communist ideology. This book was the first specialized, concise compendium of historical individuals and events connected with Kyrgyz history and that of Kyrgyzstan. Its main aims were to recall forbidden historical names to the Kyrgyzstanis and to show that public mention of them was no longer prohibited (Chukubaev et al. 1989; Urstanbekov and Tchoroev 1990). The first years of Kyrgyzstan independence witnessed a real absence of pro-communist censorship and a prohibition of the Communist Party’s activities. (Kyrgyzstan was the only Central Asian country to prohibit temporarily the activity of the former ruling party after 19-23 August 1991, when all of the republic’s communist organizations supported the conservative communists’ challenge to democratization in the USSR. The Kyrgyzstan Communist Party that has existed since 1992 is tiny and no longer plays an important role in producing Kyrgyz historiography.) Since October 1990, when the communist leader was defeated by Kyrgyz democrats in the presidential election, publications about past political figures have become open, widespread, and fashionable. Censorship has been retained only in the hearts of some historians, who incorporated it into their habits of thought as a component of their self-control. One of the first publications on the victims of the purges of the 1930s was prepared by communist historians who had permanent access to the party’s archives. (It was hard for non-communist researchers to gain access to the archives during the Soviet period: Semenov 1991). That book of essays was one of the last products of the weakened self-censorship of the Communist Party’s research body. 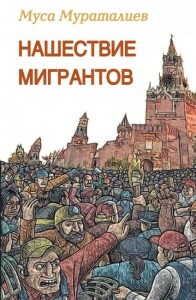 «There were not so many ‘enemies,’ and those killed were not only simply good men but also steadfast champions of the ideas of the October Revolution,» wrote I. E. Semenov, deputy director of the Institute of the History of the Kyrgyzstan Communist Party and the book’s compiler (Semenov 1991, 4, 170). The implication is that the whitewashing of the killings of opponents of the October Revolution’s ideas and ideology was perpetuated to spare the feelings of the communists. However, simply drawing attention to the secret archives of the Communist Party of Kyrgyzstan was an important step, and the material in the book were useful for those historians who did not have an opportunity to work in the archive. The archive is now open to all political organizations and institutions in Kyrgyzstan, although it is possible that the communists removed some «unsuitable» materials before abandoning it. Some of the historians who were the main censors and heaviest-handed editors of official history publications in the 1980s managed to gain opportunities to work in the semi-open archives of the former KGB (now known as the Service for National Security) of Kyrgyzstan in 1990-91. Their purpose was to consider secret documents in preparation for the rehabilitation of victims of the Stalinist regime. It is hard to imagine that this job would be given to historians who were among the ardent supporters of censorship under the communist ideology just before the collapse of the Soviet Union. The discovery of a mass grave containing the victims who had been shot on Chon-Tash hill in the Alamedin district (20 kilometers southeast of Bishkek) in November 1938 and their official reburial in the summer of 1992 became one of the new stimuli for researching the lives and activities of the victims of repression and other formerly prohibited individuals (see Khelimskaia 1994). The Association of Young Kyrgyzstan Historians called on the authorities to open the formerly secret archives to all historians. I believe this is now possible in Kyrgyzstan. For example, I had discussions with two former ministers of national security— the late Anarbek Bakaiev and Feliks Kulov, who became the mayor of Bishkek—on this issue, and they said that the material on the 1920s-40s could be investigated by researchers. In March 1994,1 had an opportunity to work in the former KGB archives researching politicians of the 1920s, and I can say that the archive staff at that time resorted to internal self-censorship before passing material to ordinary historians and other patrons. Because of the semi-openness of the former KGB archive, which is unusual in the other post-Soviet Central Asian republics, the Kyrgyzstanis have had new access to several historical documents. 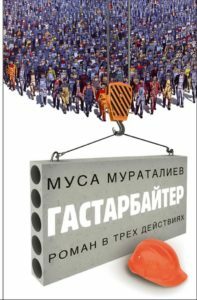 One interesting publication in the new environment is a book about the Osh events of 1990 by Talant Razzakov, the ministry’s spokesman, who used material from his institution (Razzakov 1993). Several individuals who lived in the medieval and рге-Soviet periods were being researched for the first time in Kyrgyzstan post-Soviet historiography. 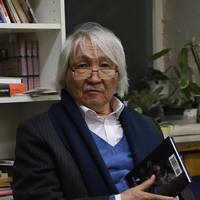 One popularizer of this work was Kenesh Jusupov, a prominent Kyrgyz writer and editor of the Ala-Too journal, who published a series of readers on Kyrgyz history, genealogy, tradition, and culture (Jusupov 1991-95). These draw from material about Belek Soltonoiev, a Kyrgyz historian who wrote a manuscript on Kyrgyz history that was repressed in 1938 and manuscripts on other historical individuals and Kyrgyz specialists (among these works were translations of major portions of the books and articles by Yusuf al-Balasaghuni; Mahmud al-Kashghari al-Barsqani; Moldo Kylych; Moldo Niiaz; European Orientalists such as Barthold and Remy Dor; the Chinese Kyrgyz historian Anvar Baitur; and the Chinese Dungan expert on Kyrgyz folklore, Hu Zhenhua). Arabic script, which most Kyrgyz Soviet historians of the second half of the century could not read (see Koichiev 1992; Osmonaaly Sydyk uulu 1913, 1915, 1990). In the 1990s, several books, essays, and articles were published in Kyrgyzstan about historical individuals, among them Taghai-biy, Tailak baatyr, Ormon-khan, Polot-Khan (Mulla Ishaq Hasan uulu), Kurmanjan datka, Shabdan, Abdykerim Sydykov, Jusup Abdyrakmanov, and Ishak Razzakov (Asanov 1991, 14-17; Attokurov 1994a, 1994b; Beishenaliev 1994; Joldoshev 1992; Jusupov 1992; Kenchiev 1992; Kenensariev 1997a; Kurmanjan-dalka 1991; Mitalip uulu Jaflybai 1993; Moldokasymov 1991, 1991). Of course, some publications offered unprofessional coverage of the material, and there was some forging of documents and genealogical legends resulting from the author’s desire to exalt the person or events about which they were writing. Such errors occurred in works by Aman Gaziev, Kylych Esen uulu and Tursunai Ornurza-kova, among others (Kylych Esen uulu 1994; Gaziev 1991, 1995; see also Tchorotegin 1997a). 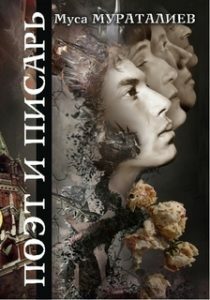 During the post-Soviet years, several works by medieval and pre-Soviet and non-Soviet authors were published in Kyrgyz. Some of them had been preserved as manuscripts; some of them had not been known at all (Ahsikenti 1996; Aldash 1992; Baitur 1992; Balasagun 1993; Kashgari 1991, 2:441-59; Sooronov and Zulpukarov 1993). This process of popularizing the written heritage of the Kyrgyz, whether medieval or modem, is now widespread.